Business math, banking, introduction of capital, interest, etc. Construction of geometric figures, draftsmanship with straight edge and compass, etc. Integration with algebra, graphing, etc. 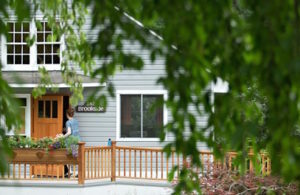 For students who are not yet practicing Waldorf teachers (“pre-service”), an essential component of the program in each of years two and three is to complete four consecutive weeks of student teaching in an AWSNA-affiliated Waldorf school with an experienced Waldorf elementary teacher. 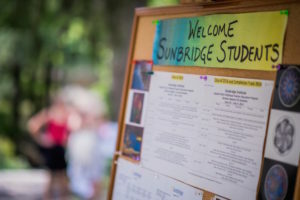 Students who are currently-practicing, full-time Waldorf class teachers (“in-service”) receive a two-day visit in their classroom setting during each year of the program by a Sunbridge mentor who is a highly experienced Waldorf elementary teacher. These visits are accompanied by two hours of telephone conferences as a precursor and/or follow-up to the visit, and includes a self-evaluation. Ideally, this mentor will remain the same for the length of the program. These mentor visits are intended to support new teachers while they are in the Sunbridge program and are not intended as evaluations. All students (pre-service and in-service) are required to observe in a Waldorf classroom for a minimum of five days as follows: One full day in early childhood, three full days in elementary, and one full day in high school. Pre-service teachers are required to complete these five days in year one of the program. In-service students may complete the observations over the course of the three year program. Pre-service students are also required to observe for an additional two weeks in either one or two grades one-eight classes, spending a minimum of five consecutive days in one classroom at a time. These two full weeks of observation can take place at any point during the three years of the program. This brings the total observation requirement for pre-service students to three weeks.